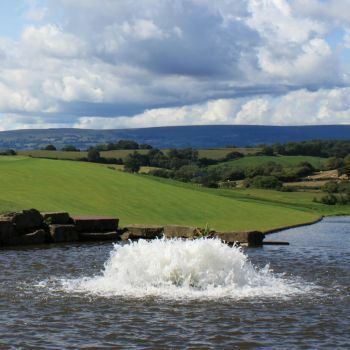 The 5HP Volcano lake aerator is specially designed to produce class leading oxygen transfer rates of up to 1.5kg of oxygen per horspower hour and pumping rates up to 647,000 Litres per Hour. The 5hp unit is capable of oxygenating lakes of up to 20,000 Square Metres (approx. 5 acres), depending on shape and complexity of the lake profile. 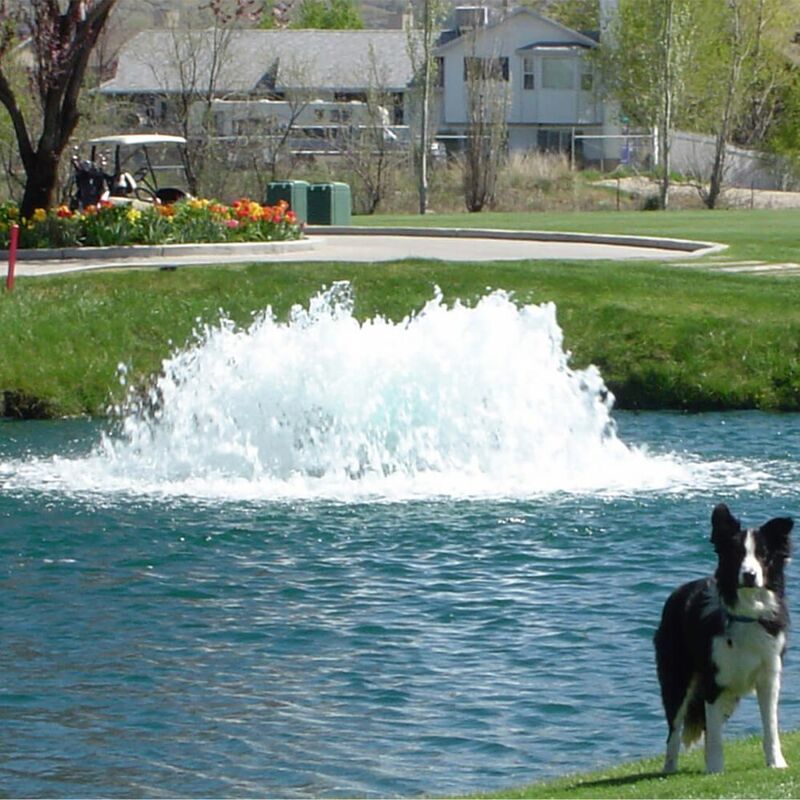 The 5HP is designed to be used in large lakes or ponds to oxygenate and circulate and quickly improve water quality. 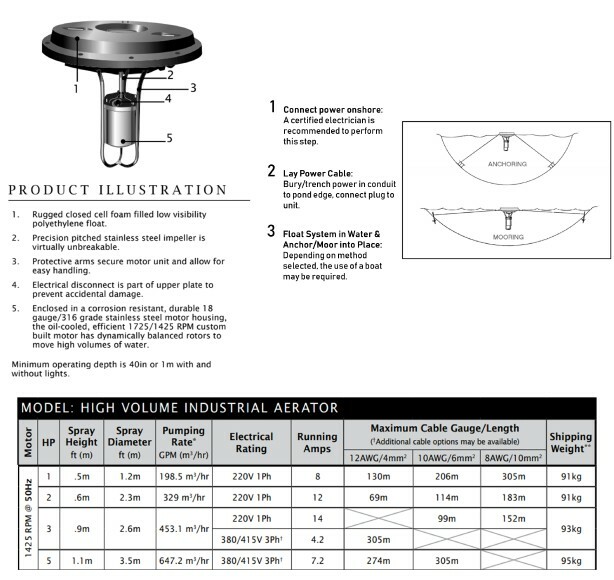 The aerator motor housing is manufactured from highly durable, corrosion resistant 18 gauge / 316 grade stainless steel which is oil cooled and highly efficient due to the precision pitched stainless steel impeller that is virtually indestructable and the custom engineered dynamically balanced rotors. 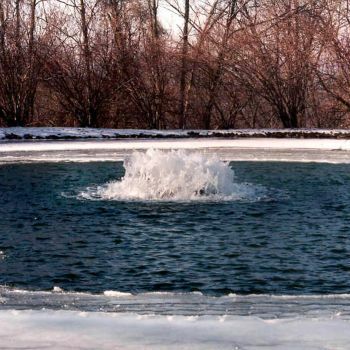 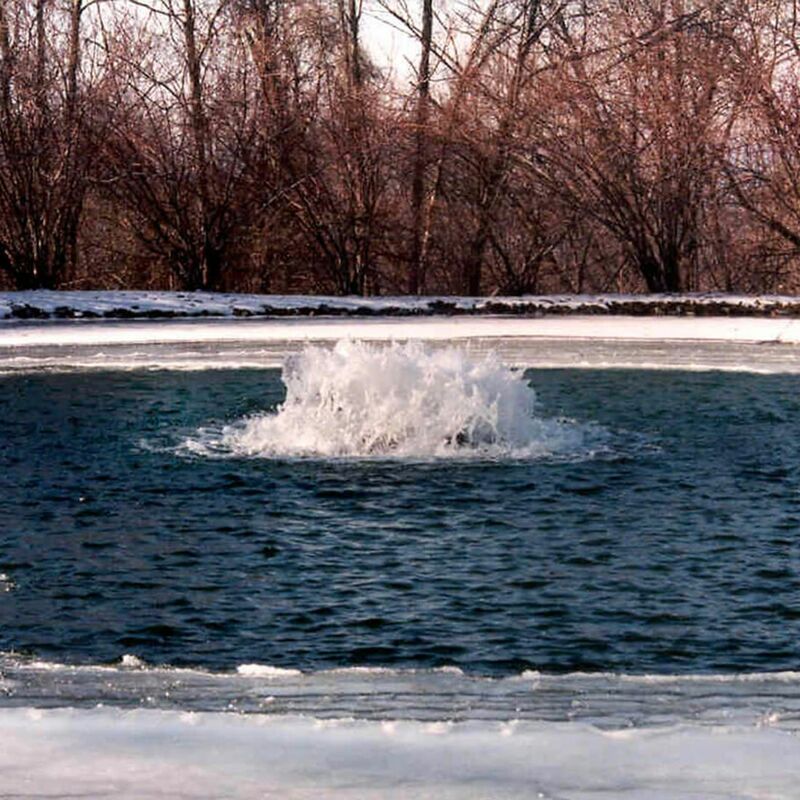 The aerator float has been been manufactured from rugged closed cell, foam filled polyethylene that allows the 5hp volcano to be used in effluent or high nutrient waters. 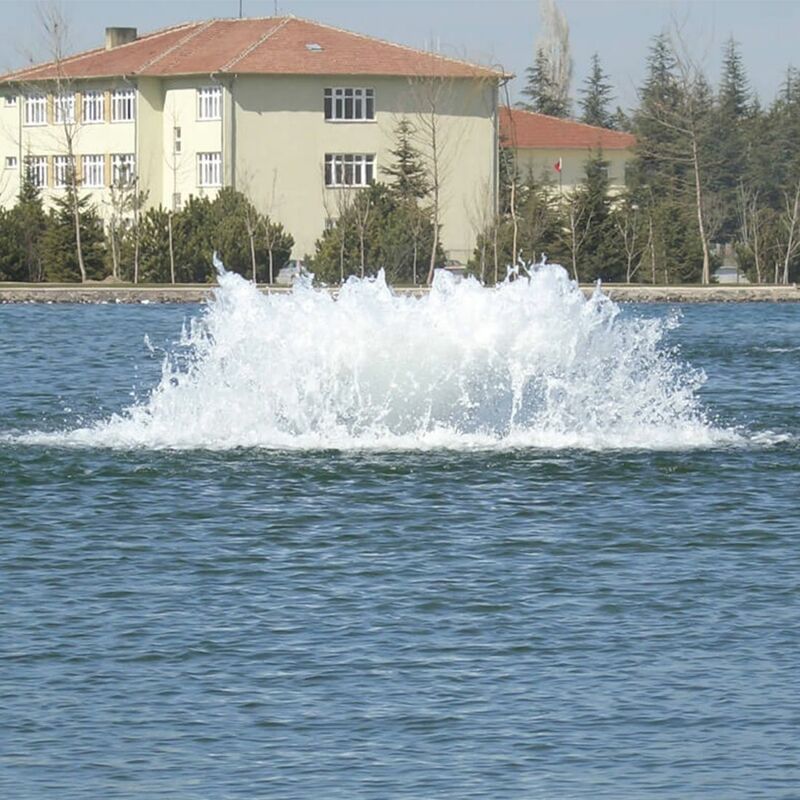 The Volcano 5hp can be used in waters as shallow as 1m (40") and can be easily re-located due to the floating nature of the aerator.